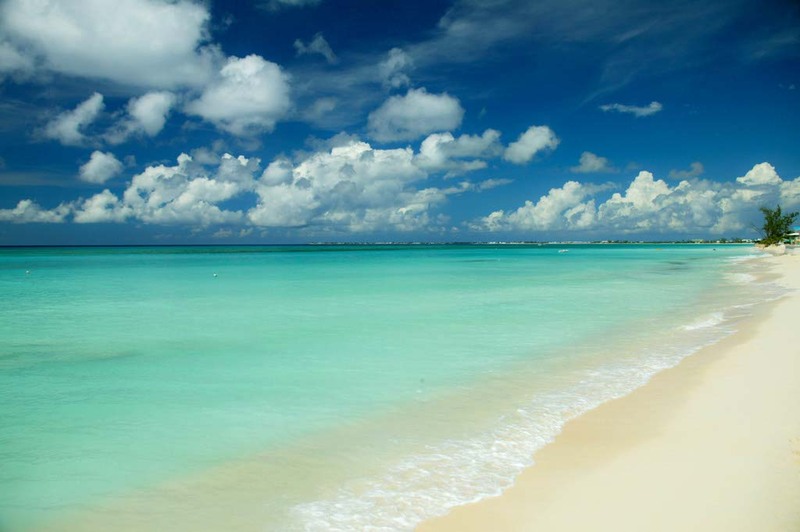 The Caymans are warm in the summer when the average daily high reaches 85°F (29°C). Winter is drier and cooler, with average daily highs of 75°F (24°C). Tales of buccaneering feats and shipwrecked sailors, the legend of Blackbeard… the Cayman Islands have a rich seafaring history with near-mythical status. Today, modern adventurers flock to Grand Cayman for treasures of another kind – sweeping white sands, sunken ships from centuries past, stunning coral formations and turquoise waters. Grand Cayman is the largest of the Cayman Islands, 90 miles away from Cayman Brac and Little Cayman. Enjoy a variety of watersports on famous Seven Mile Beach, or simply “Relax Cayman Islands Style” and enjoy the tranquil atmosphere of this stunning Caribbean treasure. A diver’s dream, underwater adventure abounds in Grand Cayman with more than 200 dive sites with fascinating coral reefs and colorful marine life. A must-see for adventurous souls is Stingray City, noted as the best 12-foot dive in the world. For beginners, dive at Trinity Caves and Orange Canyon. The best shore-entry snorkeling spots are south of George Town at Eden Rock and Parrot’s landing. North of town, try the reef just off the West Bay Cemetery on Grand Cayman’s est coast, or the reef-protected shallows of the island’s north and south coasts. On land, explore mysterious caves and coves, once hideouts for notorious pirates like Blackbeard and Sir Henry Morgan. Visit the Cayman Turtle Farm, the only green sea-turtle farm of its kind in the world. Considered an endangered species, the green seas turtle is practically extinct elsewhere in the Caribbean. Visit Grand Cayman’s Botanic Park and its amazing Heritage and Floral Garden. Just beyond the Floral Garden, the two-acre lake has three small islands with native vegetation, providing a habitat for bird life. Caymanians enjoy one of the highest standards of living of the in the West Indies. The island’s main industries are tourism and offshore banking, thanks to the absence of direct taxes.